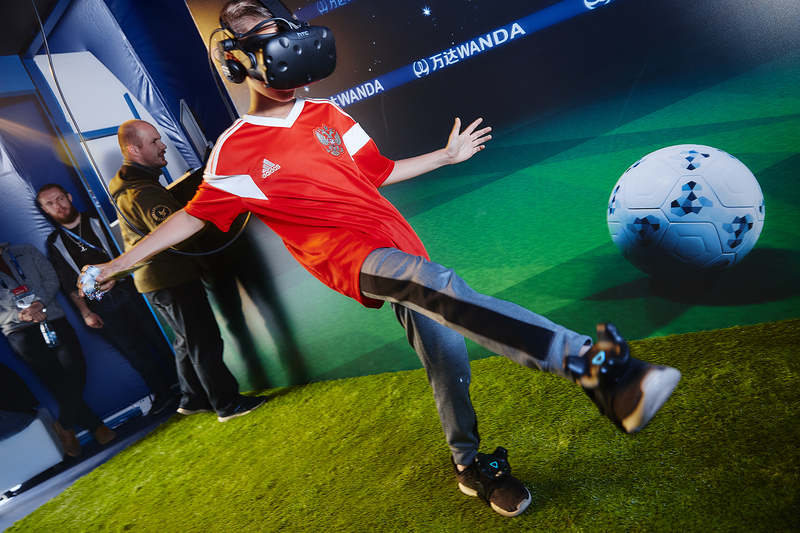 Competitive experience of set pieces for World Cup fans. 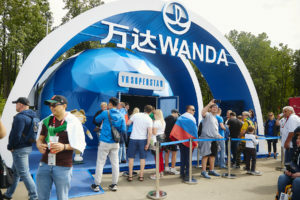 This experience was created on the occasion of the World Cup of Russia 2018, to be installed in the Fanzones of Moscow during the development of this event and with the aim of making a brand branding through a competition among users of the same, awarding prizes to the victors. 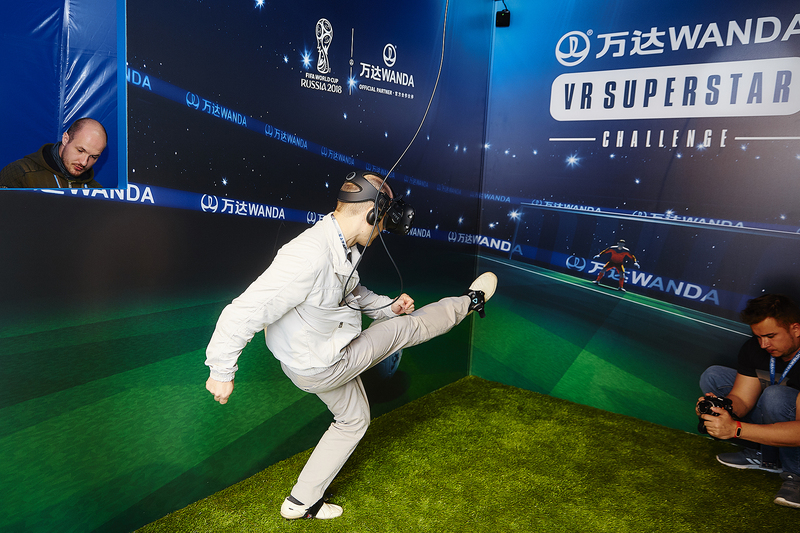 The experience puts the user in the shoes of a football shooter and transports him to two different scenarios: First to Danzhai Wanda Village where he will have to get the highest score by hitting the ball with different static targets. 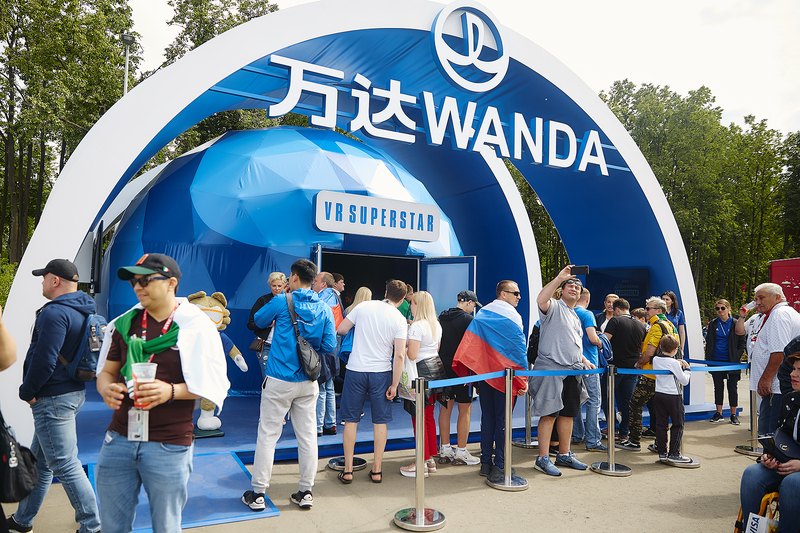 Then to a Wanda Metropolitan stadium, in full final and crowded with fans. In this second part, the user puts himself in the skin of a penalty shooter where he must beat the rival goalkeeper and take victory. For this experience a complex system of real physics has been developed so that the ball behaves when it is kicked just as it would behave in the real world. In this way we allow the user to do any kind of launching that he could do in reality (with the interior, the exterior, with effect, chopped, rabona, etc. ).